Are you in for some evening adventures? Experience some of the best attractions in Jamaica…at night! Explore the fascinating Rose Hall Great House known for its horror stories and eerie tales. It is a must for visitors to Montego Bay who are looking for night adventure and interested about the story of Annie Palmer known as the “White Witch of Rose Hall”. 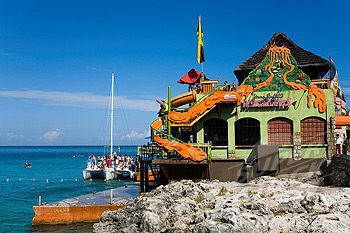 Take a boat tour and go for a night swim at Jamaica’s famous Luminous Lagoon at Glistening Waters. The lagoon is famous for the presence of glowing microorganisms – a very unique experience because there are only four other places in the world where you can see this type of occurrences. If you’ve never seen any bioluminescent effects, you will love this lagoon and enjoy the experience. This spectacular sight is about a 45 minute drive outside of Montego Bay. Pickup time is 6pm.